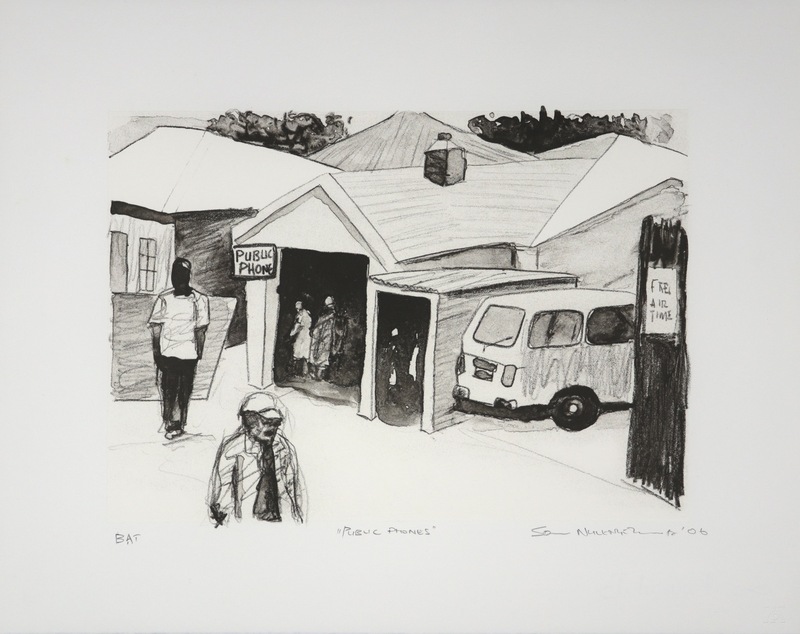 In this series of fifteen prints, Sam Nhlengethwa has turned his focus onto the Townships of South Africa. 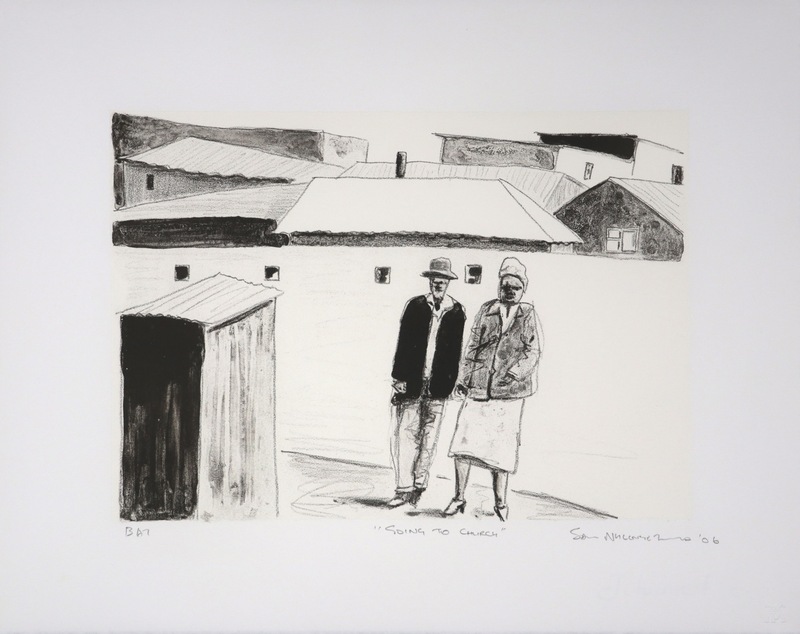 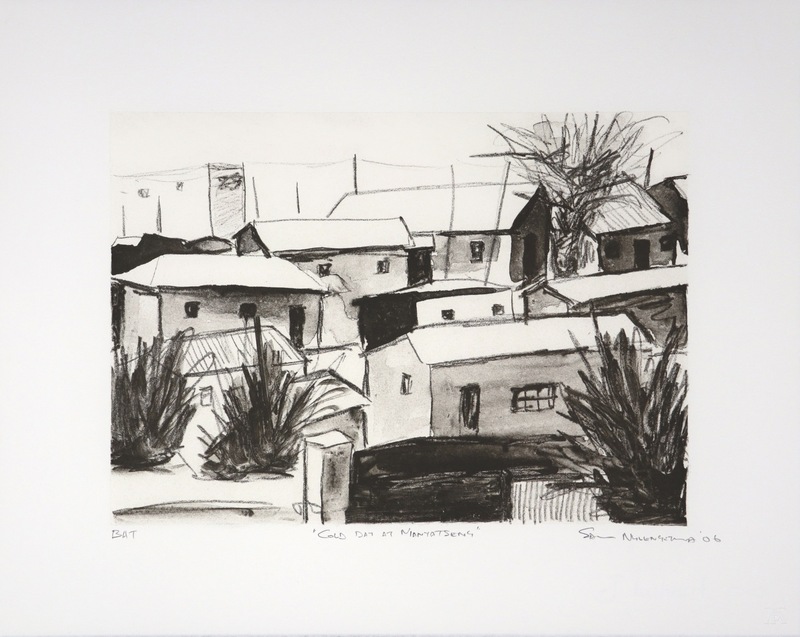 Township life has been an important source of inspiration for Black South African artists since the early twenties. 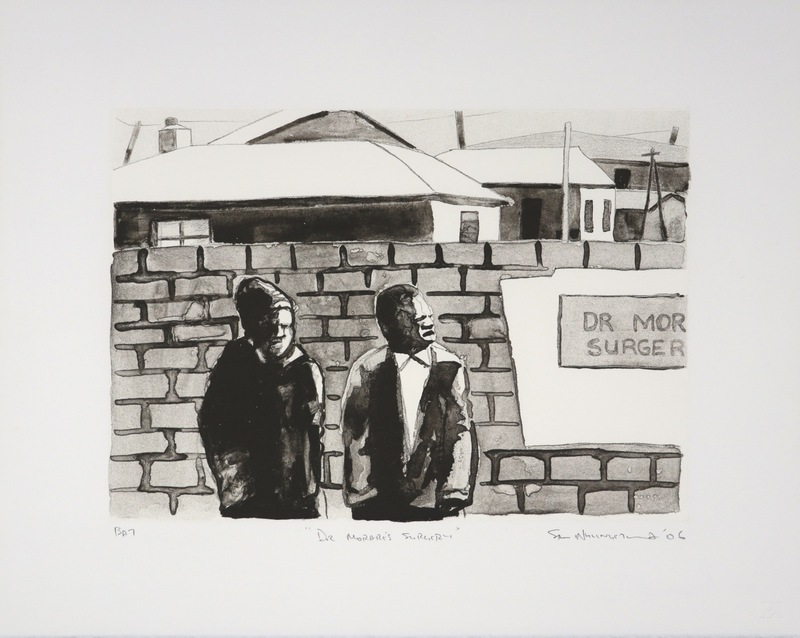 This work well represented in the paintings of Gerard Sekoto and later Durant Sihlali. 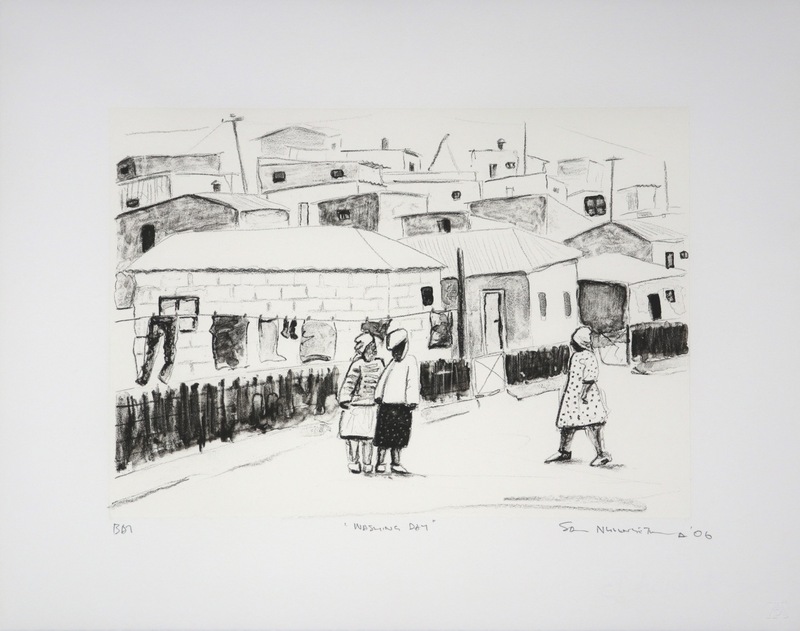 The "Township Art " genre became discredited in the late seventies and eighties as artists jumped on the bandwagon and started to create work that was sentimental and unoriginal. 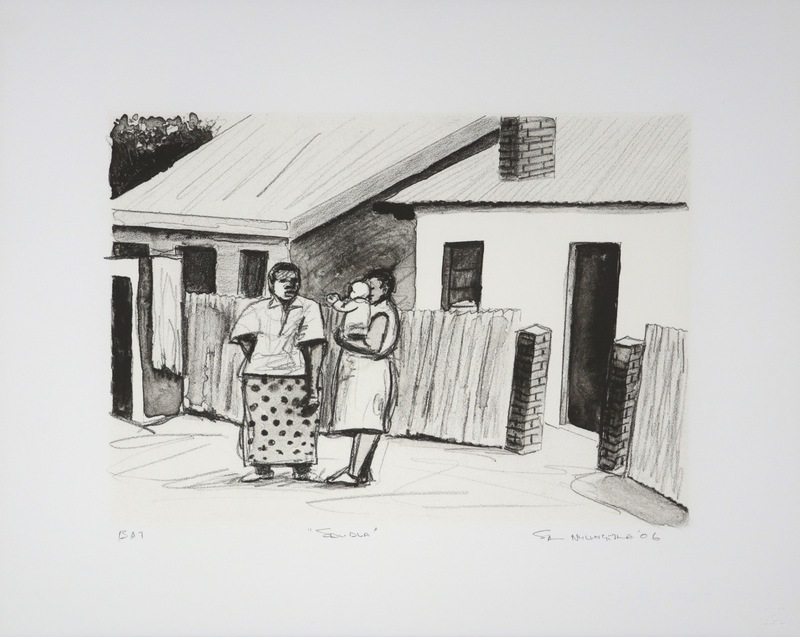 In this series of prints, Sam Nhlengethwa tackles this tricky past and returns to the strength of the work that Sekoto and Sihlali mastered. 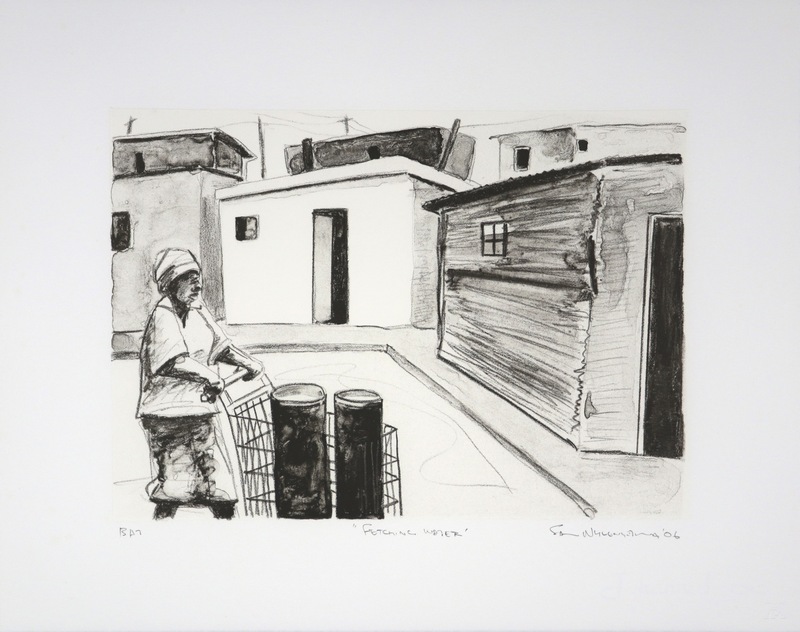 Sam Nhlengethwa has traveled around the country observing life in both small and large townships. 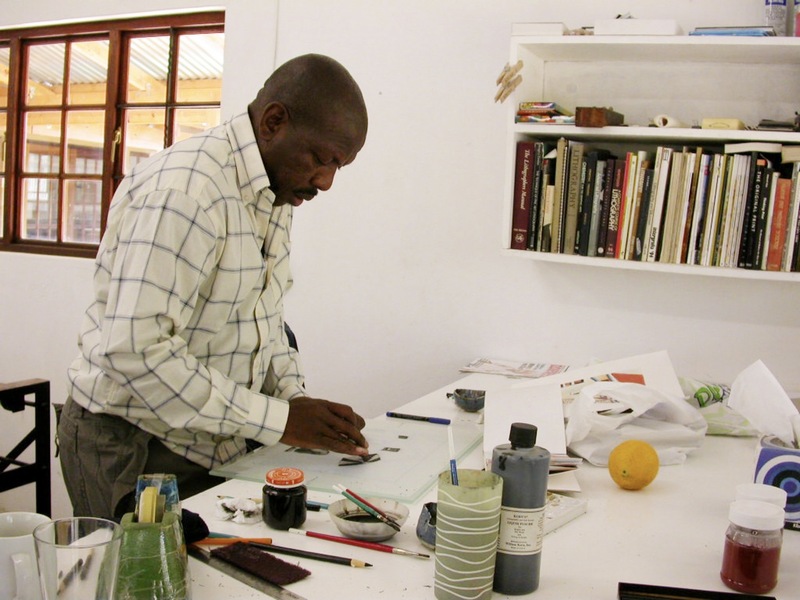 What he has discovered is that as much as things change they still remain the same. 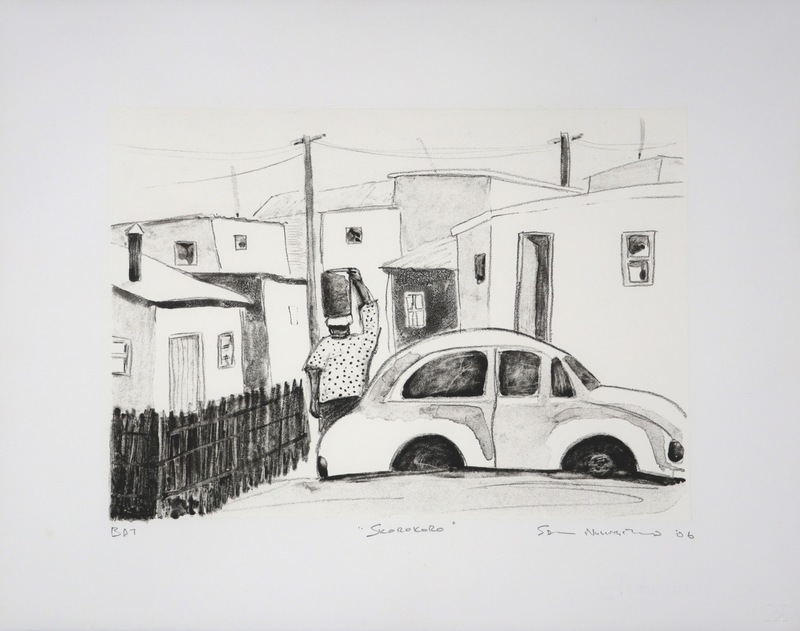 People continue to live in their communities and spend their days getting on with very ordinary tasks such as washing clothes, visiting the hair salon and gossiping. 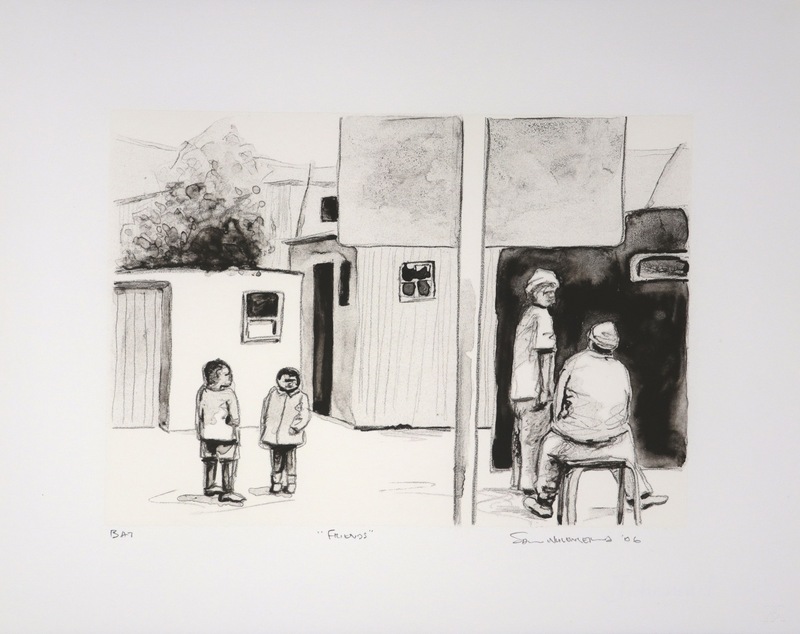 These are the images that Sam Nhlengethwa has focused on and chosen to record, thus capturing a contemporary yet timeless sense of life in South Africa's townships. 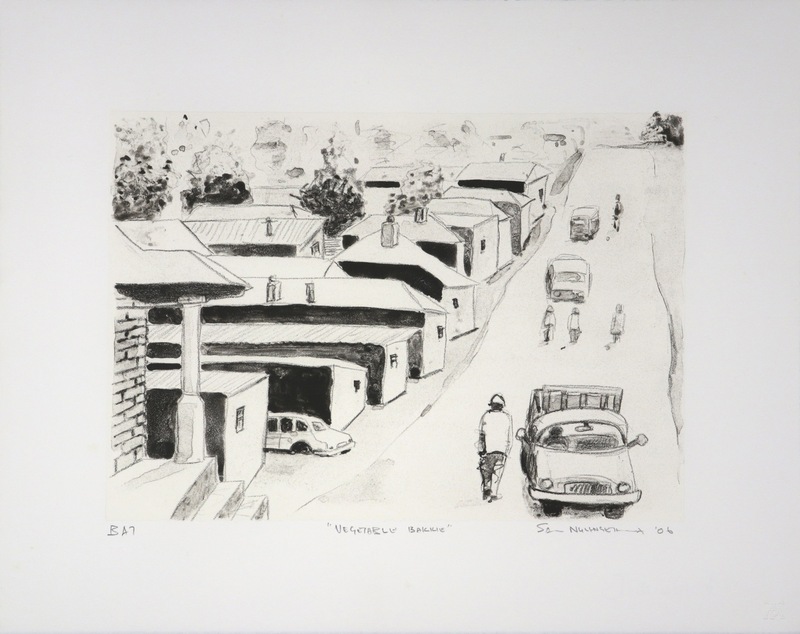 For links to other prints done by Nhlengethwa, please scroll to the bottom of this page.